Like the candidacy of Paris 2024, Los Angeles 2028 goes to Lima (Peru) high by a large delegation to present its project one last time to the members of the International Olympic Committee (IOC). If the principle of double allocation has been established in Lausanne (Switzerland), the Peruvian Session will have to ratify the designation of Paris 2024 and Los Angeles 2028 by a show of hands. 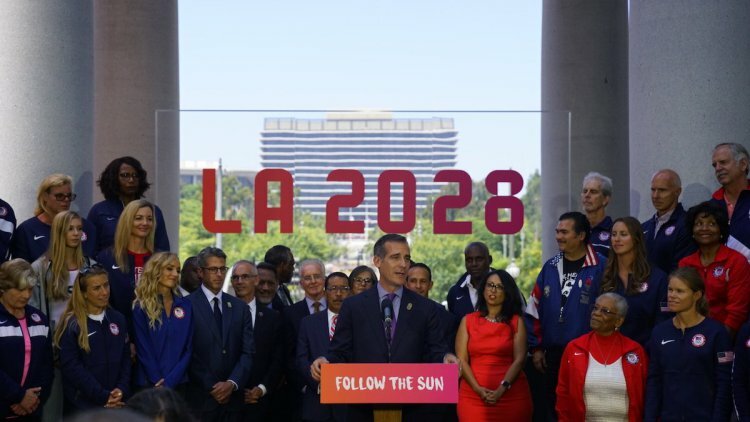 To defend its concept, LA 2028 will send the Mayor of the city, Eric Garcetti and Casey Wasserman and Janet Evans, respectively Chairman of the Bid Committee and Vice-Chairman in charge of the relationship with the athletes. A major architect of the American project, Gene Sykes will also be present in his role as CEO. Unsurprisingly, the IOC members for the United States will support the bid as they have since the revival of Olympic ambition : Anita DeFrantz, Larry Probst – also President of the US Olympic Committee (USOC) – and Angela Ruggiero. 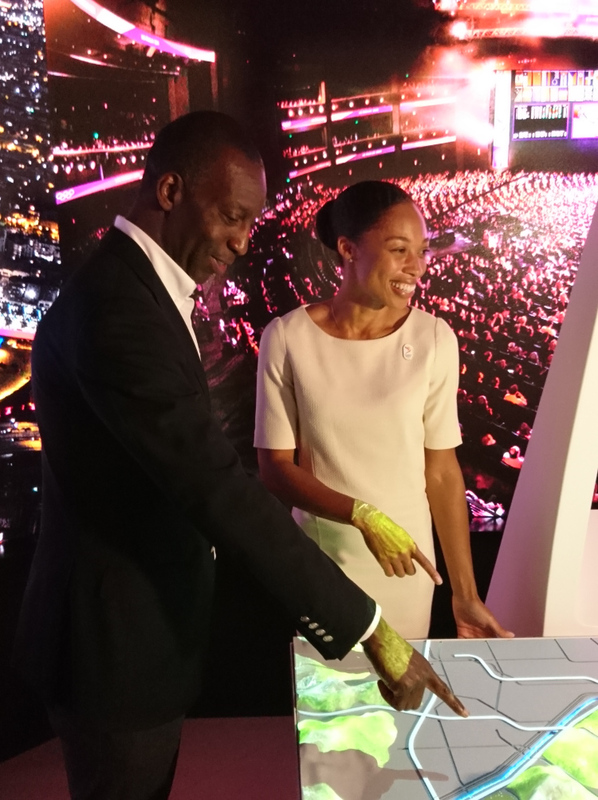 To complete the presentation of Los Angeles, the sports ambassadors Allyson Felix and Michael Johnson were again mobilized in the service of the bid. These two emblematic personalities of athletics had already invested heavily in the last months : the first had made the travel to Doha (Qatar), in November 2016, on the occasion of the General Assembly of the National Olympic Committees (ANOC), while the second had made a presence in Aarhus (Denmark) during the SportAccord Convention in April 2017. They also made the travel to Lausanne this summer. 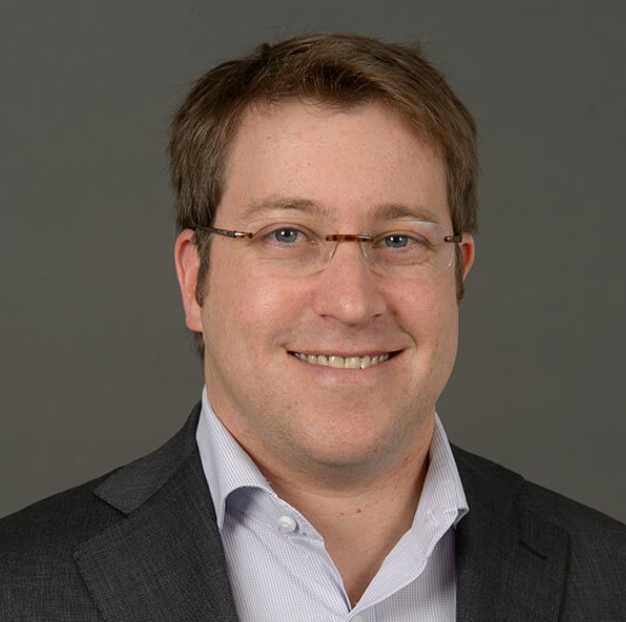 Another key actor of the American concept, Scott Blackmun will also go to Peru. It must be said that he was one of the first, within the USOC, to publicly mention the idea of a US candidacy for the 2024 Games. On February 19, 2013, he had sent an official letter to the thirty-five largest cities in the country to survey their respective moods and interest in an Olympic and Paralympic project. In addition to the Olympic personalities, several members of the City Council and officials from Los Angeles were invited to the IOC Session. One way to remember the strong support expressed by local authorities in the bid, throughout the process, from the Los Angeles engagement in racing games, to the agreement on the organization of the Olympics in 2028. If Los Angeles has now assured of getting the Games, nothing was gained in advance. After Scott Blackmun’s letter, talks had begun with about ten cities, and the USOC ultimately divided the four cities with the best technical and logistical assets in the eyes of the Olympic organization. Boston (Massachusetts) was then preferred – unanimously members of the board of the USOC – Los Angeles (California), San Francisco (California) and Washington (District of Columbia). 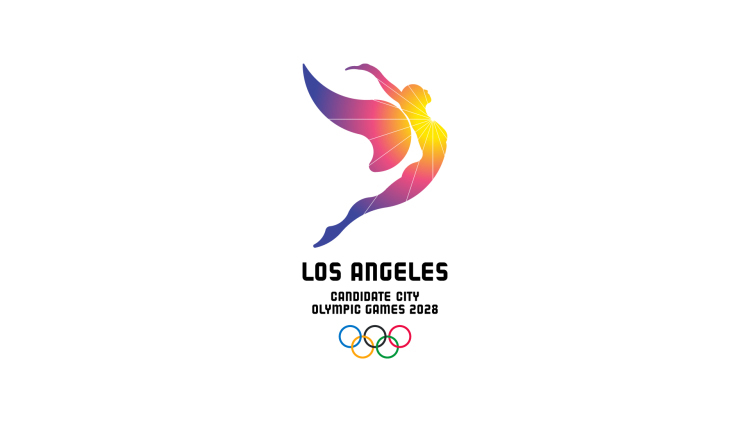 In spite of the rich experience of Los Angeles – candidate a dozen times since the end of the Second World War including the candidatures to the national investiture – the USOC had positioned itself on a city decisively on the strength of its youth to convincing the IOC. For example, students from local universities were asked to imagine the visuals of the future Athletes’ Village and other structures allowing the rehabilitation of the neighborhoods concerned by the Boston Olympic plan. Recalled, the city of Los Angeles could then bid farewell to a new candidacy and the potential organization of its third Olympic Games. But an overhaul of US strategy finally has argued in favor of the « City of Angels », after the popular setbacks faced by Boston and which led to the withdrawal of this application in the summer of 2015. For the Los Angeles 2024 bid – before becoming LA 2028 last July – several changes and modifications to the plans are still occurring between 2015 and the first quarter 2017. Logistical developments have made it possible to integrate recognized personalities in their field, like María Elena Durazo for the trade union, appointed to one of the positions of Vice-Chairman of the Bid Committee. Other more technical developments have also taken place in nearly two years. Thus, the change in the number of sporting poles between the initial project and the final project was one of the elements that gave the impression of an ill-fated and somewhat confusing bid, as well as the integration to the project of the existing campus of the UCLA instead of the idea of setting up a new Athletes’ Village. However, despite the changes that could have altered Los Angeles’s message, the US bid has demonstrated effective and formidable communication to make technical changes as profitable adjustments to the bid and, as a result, to the Olympic and Paralympic Movement. 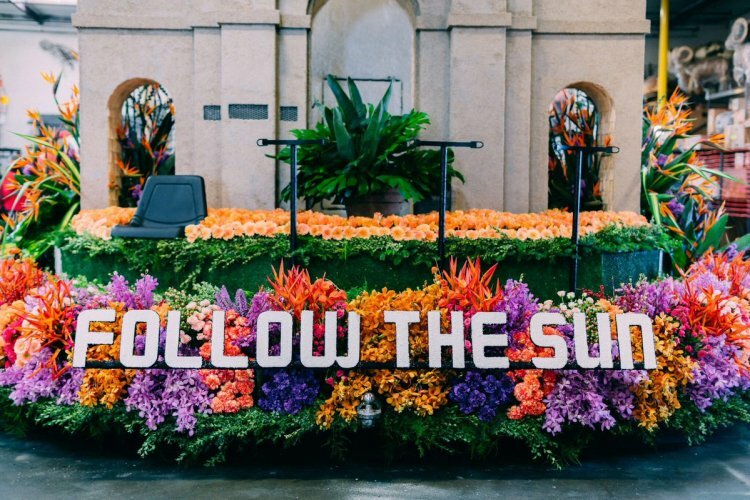 If a period of uncertainty between the summer of 2015 and the spring of 2016 has been noticed – probably as a consequence of the Boston / Los Angeles transition – there is uncertainty about the concrete meaning of the « Follow The Sun » slogan, and a controversy has arisen in Aarhus about the number of subscribers to the Facebook page of the bid, the communication implemented has focused on specific points. The valorisation of the existing sites of global dimension was one of them. In any case, it could not have been otherwise when, on the other side, Paris was partly building up its concept on the promotion of iconic monuments (the Eiffel Tower, the Palace of Versailles, etc…). The mobilization of world famous athletes – with clips, videos tracing the sporting course for example – was another key point. In this field, it is true that Los Angeles was leaving with an obvious advantage as to the reputation of its athletes worldwide. In Doha, the intervention of the athletics star, Allyson Felix, was a striking illustration of this dimension that no other Candidate City could then achieve. However, it would be possible to grieve in Los Angeles for a relative mobilization of American athletes in smaller events, even though the candidacy has shown the support of more than 1,000 Olympians and Paralympians. For its part, it must be noted that Paris has constantly sought the support of its athletes in all the events organized locally or nationally. The design of simple visual but no less effective in the choice of labels or colors – constant dominance of orange and purple in the communication media – was also seen as an element to the credit of the US bid. This was all the more eloquent when the concept of Los Angeles was presented in Aarhus. In this regard, Jeff Millman was one of the major contributors to this successful communication. Relatively discreet, the latter possesses a fine knowledge of the political workings – an undeniable asset at this level -, having long gravitated in the spheres of the Democratic Party locally and nationally. In charge of communicating with the candidates for the mid-term elections in 2002, Jeff Millman was also the Press Officer of the Governor of California, Gray Davis (2003). He then served as Communications Officer for the former Los Angeles Mayor James Hahn between 2004 and 2005, before becoming the Media Coordinator for Hillary Clinton’s Primary Campaign in 2008, and finally the Principal Counselor of the Mayor of LA, Eric Garcetti. Participation in the Los Angeles Olympic and Paralympic campaign was therefore obvious because of the proximity – and thus the perfect knowledge – of one of the main figures in the bid. Casey Wasserman is also worth mentioning for his role as a sports investor in California but also because of his financial and political support for the Clinton family and the Mayor of LA. Beyond communication, Los Angeles has also developed a strategy for marketing, a strategy designed by Terrence Burns. Some will argue that Los Angeles 2028 sought only a mercantile goal in the choice of 2028 option. At the end of this unprecedented campaign, LA 2028 will appear to be a remarkable winner in many ways, even if the credo is « win-win-win » as expressed by IOC President Thomas Bach, to highlight the agreement between the institution and the two Candidate Cities. It is true that Los Angeles will bring the Olympic rings back to the end of the Lima Session, but it will also bring back a Host City Contract to its advantage. 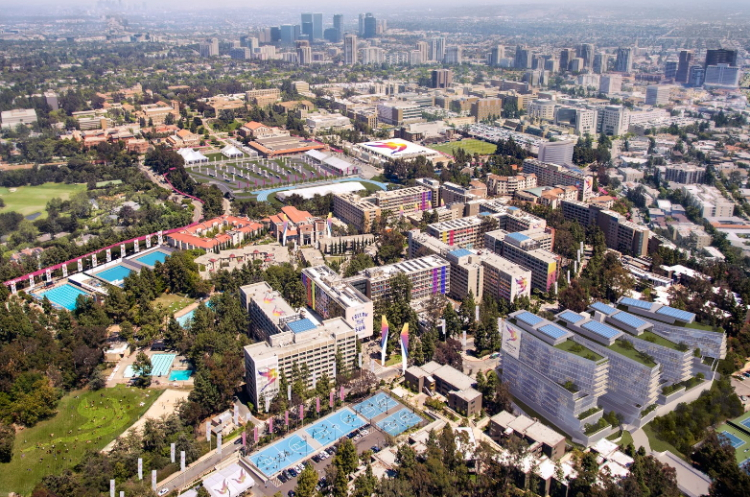 The contract includes the addition of an Olympic envelope of $ 160 million for educational programs in Los Angeles and, above all, activation of the marketing program and commercial activities well upstream of what previous Host Cities could get. While Paris 2024 will have the opportunity to implement these two points between January 1, 2019 and December 31, 2024, Los Angeles 2028 may do the same over a longer period between January 1, 2021 and December 31, 2028. Whether nationally at first, and then internationally in a second time, such an agreement can only be beneficial for the Host City. This smart point in the Olympic partnership should not, however, reduce the challenges of Los Angeles for the next eleven years. As in the case of his candidacy for the Games of 2024, the city must indeed be able to resolve – at least in part – the question of urban mobility with public transport still insufficiently represented. 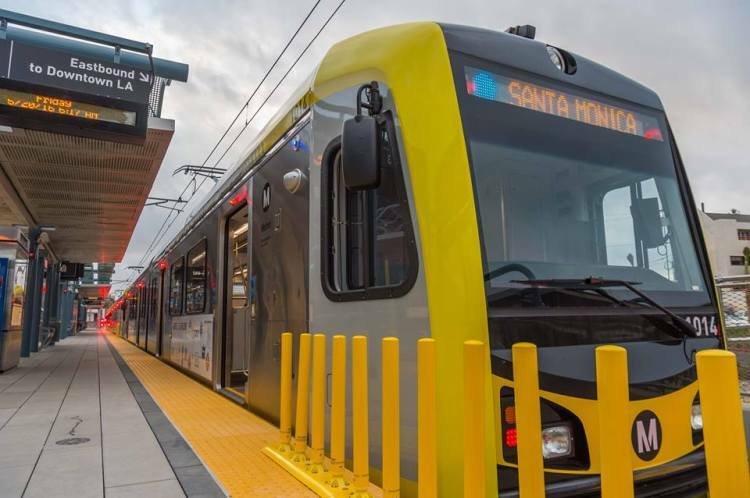 With significant investments planned over the next few decades for a total amount of over $ 200 billion, Los Angeles and its region are embarking on a marathon to modernize existing transportation system and create new lines for the subway in particular. The fact of granting another four years to meet this challenge is therefore pertinent but all the more risky for what is today the main weakness of the Olympic and Paralympic concept of LA 2028. The same applies to housing issues, with regard to daily life, with the delicate issue of poor housing and the high number of homeless people, but also the setting up of the UCLA campus for the Games, with the imperative consideration of accessibility for people with reduced mobility. In this regard, the IOC Evaluation Commission has highlighted the weakness of the Paralympic aspect in the Los Angeles concept. Faced with criticism, a more sustained consideration would then be able to create a dynamic – more or less extensive and perennial – for the entire Paralympic Movement in the United States. By raising as much as possible the challenges that are characteristic to him, Los Angeles will be capable of hosting the Games with a spectacular dimension should not be any doubt, as evidenced also the choice of the Opening and Closing Ceremonies venues. This will be the third Games – a performance that only London (1908, 1948 and 2012) and Paris (1900, 1924 and 2024) will have carried out previously – that the city of California will organize. Los Angeles will then pass the torch to another Host City. Upstream, it will be up to the IOC to find the right equation to succeed in reviving the territories interest in hosting the Games, since the double allocation adopted this year can not be a sustainable model. The Lima Session will symbolize the designation of the host cities of the Games of 2024 and 2028. It will also symbolize a new stage in the rich and tumultuous Olympism history. Los Angeles and Paris will inevitably be key players.